Smooth sliding screen doors Simi Valley installation | Screen Door and Window Screen Repair and Replacement Simi Valley, Thousand Oaks and Surrounding Areas. Are you getting tired of you poorly sliding screen doors? 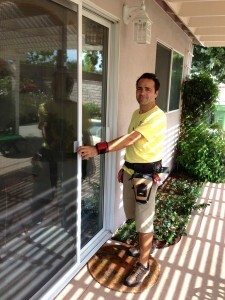 Our pro screen doors Simi Valley mobile installation service is professional yet affordable. Let us do it all, don’t get fooled with thinking that a screen door is an easy job. We re-do many screen jobs our fellow contractors tride doing themselves before getting frustrated with somthing so easy gone wrong.